Watching your child flourish in school and get straight A’s is one of the greatest rewards for a parent. While it’s great to watch your child succeed with nothing more than natural talent, it is not always the case. Sometimes students need a little extra help and guidance to keep them on the right track. Even students that typically excel academically can have difficulty with a subject, this is normal. Most of the time it’s just the teaching method that is the culprit of your child struggling. Your child, while bright and capable, may be missing out on the appropriate understanding of course material at no fault of their own. 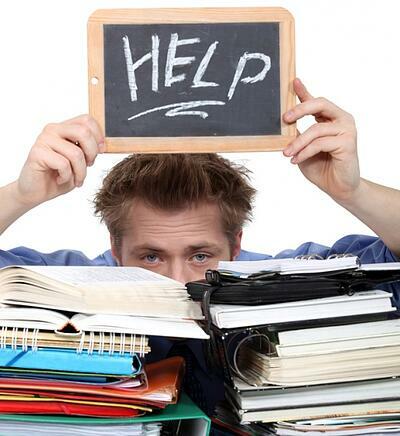 In times such as these, the best option may be to rely on the assistance of an academic tutor. The most important step is analyzing your child. Are they genuinely struggling or are they unmotivated? A tutor can tremendously impact a motivated student that wants to learn and improve. Once you determined that your child needs extra help and wants to learn, it is vital to get them that help before they lose interest. If a student has a hard time with a subject, and feels as if they have done everything they can to improve, they can start to feel defeated and give up. If you start to notice a drop in their grades, sit your child down and have a serious talk with them to get their feedback. Ask them how they feel about school, specifically about the courses they are having a hard time in. Generally their responses will fall into one of two categories: 1) Indignant disinterest or 2) depressed resignation. In either situation, respond with care and understanding. Reassure your child that bringing up their grades is possible with outside help. Meet with the Teacher: While your child is the core source of information, they may not always tell you exactly what is going on. For this reason, it is always a great idea to contact their teacher and meet with them. Teachers are a strong source of information, especially because they spend hours with your child every day. Since they meet five days a week with your child, they are generally the first to notice an abrupt change in the quality of their academic work. They also have insight on what your child is doing in school. You can discuss if your child is secretly goofing off in school or if they are desperately trying to keep their head above water. The more information you have, the better you will feel when making the final decision. Thankfully, tutoring in Chicago is fairly common and finding the right tutor will only take a short time. You can find tutors that specialize in a specific subject ranging from literature to chemistry. Don’t wait any longer, getting accepted into college is not getting easier. The youth of this generation are very competitive and good grades are a must. The best way to ensure that you student is at the top of their class is to create the best foundation possible, and that is by understanding what they are learning. your child is unique, and we believe that every tutoring program should be highly individualized and cater to their particular needs! These tutors tailor and customize their tutoring strategies and techniques to the specific needs of your child. With such an individualized program in place, your child will learn the tools necessary for academic success in college, setting them up for a fruitful career and future.